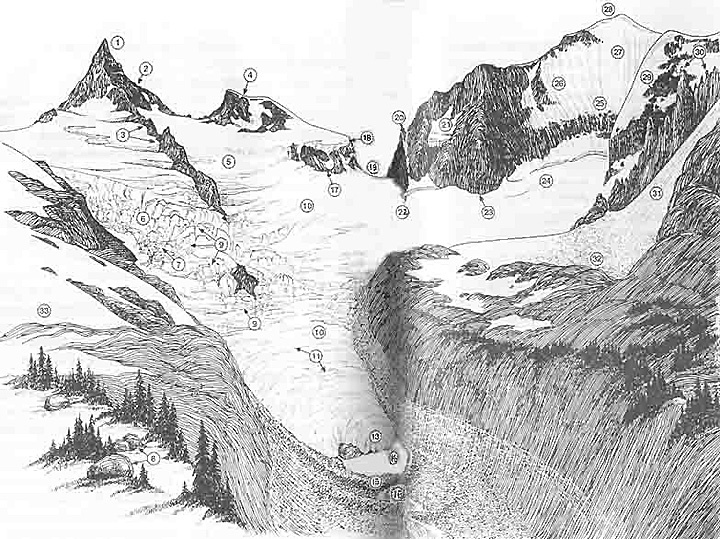 1.Slab avalanches often release under bodyweight with a sudden "whoomp" and fracture. 2.As you approach the climb, keep your eyes and ears peeled for indications of snow instability,such as recent avalanche debris, "whoomp" sounds as the snow collapses under your feet onto a weak layer, and drum-like sounds indicating a stronger layer over a hollow layer. 原文：The 30-degree snow bowl sitting above your route may seem harmless compared to the steep pillar you just pulled,but in fact it can be far more deadly.